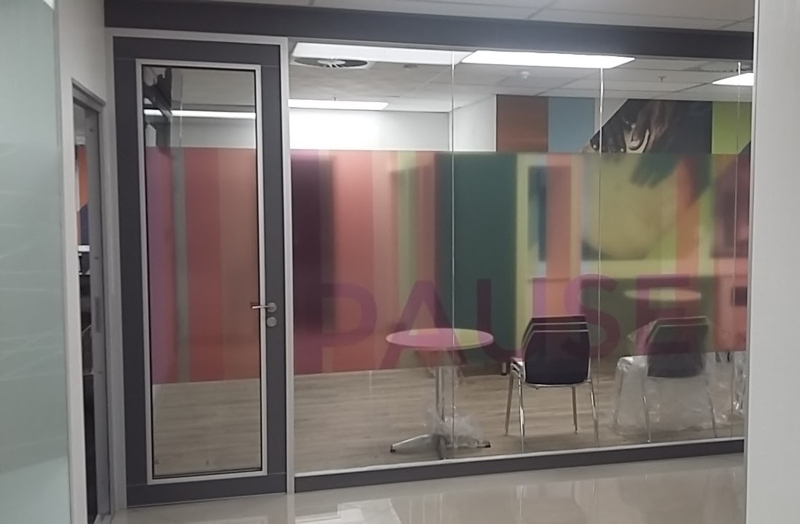 Aluglass Bautech provided a flexible acoustic system to fit the open-plan interior refurbishing of the Liberty offices in Bruma, Johannesburg. The objective of the refurbishment of the Liberty offices was to increase the functionality of the existing open-plan space, ensuring that the new and existing meeting rooms, offices plus waiting areas offer good acoustics all round. For that reason, a flexible acoustic solution was installed. Decorative treatments such as sandblasting and decal applications are possible on the GF Serene Acoustic Demountable and Re-locatable Glass Partitions system. 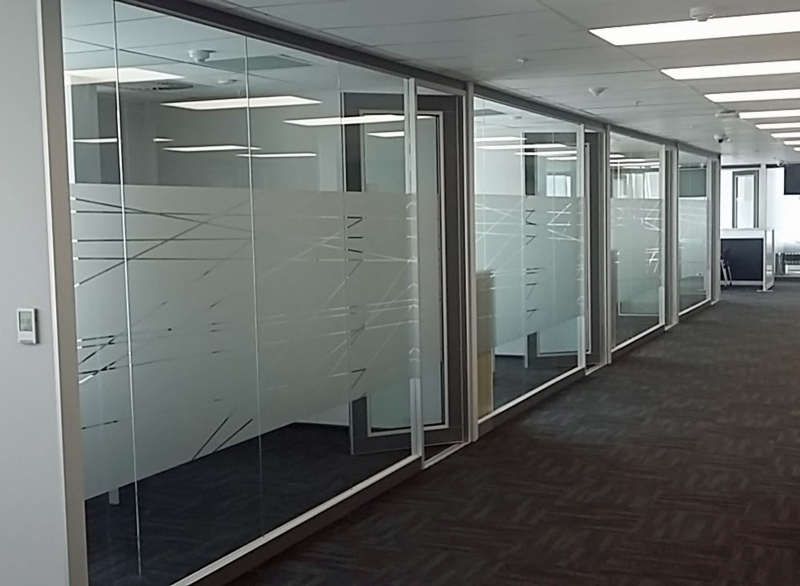 Creating quiet spaces within open-plan applications, Aluglass Bautech installed 66 linear metres of its value-add GF Serene Acoustic Demountable and Re-locatable Glass Partitions system. This versatile system is quick and easy to install, remove and reinstall with modular glass elements and flexible frame components that can accommodate clear heights of up to 3m. By using 1 200mm modular panels with extra make-up panels, the system can be easily relocated to a new position. The framing system can accommodate cable installations and the glass panels, which slide into place, and joined by a tesa® ACXplus 7058 tape, which holds the panels together. The GF Serene system easily integrates with the Aluglass Bautech Varikust VK62 acoustic door, which provides sound insulation of 35dB for that optimised sound solution. With a door leaf thickness of 62mm, these doors are available in single and double-door configurations. The double-door option, allows a good size of 1,5m wide x 2,7m high. In total, 24 VK62G single doors and two double doors were designed, manufactured and installed for Liberty offices. The specified finish was a white melawood peen frame with glazed inserts. • 66 linear metres of GF Serene 35dB Acoustic Demountable and Re-locatable Glass Partitions system with 12mm toughened safety glass of up to 2 440mm high. • 24 units Varikust VK62G 35dB single acoustic doors finished in white melawood peen with glazed inserts. • 2 units Varikust VK62G 35dB double acoustic doors finished in white melawood peen with glazed inserts. Caption main image: The combination of the GF Serene partition system and Varikust VK62G 35dB acoustic doors provides a flexible acoustic solution at Liberty’s offices in Johannesburg.